The end of one chapter marks the beginning of the next, but the season 3 finale of Agents of S.H.I.E.L.D. did more than just close a single chapter. The emotional closing of the season closed the book on several key elements and characters in Marvel’s television flagship program, leaving viewers with the answers to many questions, and still more questions on top of those. Whatever happens next, fans know that the game has changed for Coulson and co. With the loss of Brett Dalton’s Ward, the series has closed the book on their greatest antagonist. With the loss of Luke Mitchell’s Lincoln, the team has been shaken to its very core. But Chloe Bennet’s Daisy Johnson felt the loss most personally. As seen in the closing moments of the finale, the agent seems to have gone rogue. What’s to become of S.H.I.E.L.D. and the rest of the team? Fans won’t know until next season, but series producers recently dropped some hints about what you can expect as the series moves into season 4. It was a fitting end to the Ward chapter of Agents of S.H.I.E.L.D. history. But the loss of Ward is compounded by the loss of Lincoln, a relative newcomer into the S.H.I.E.L.D. fold. His introduction in season 2 marked a turning point in the overarching narrative of Skye/Daisy, giving her someone to identify with and keep her grounded in the crazy world she’d been dragged into. The effects of his loss will certainly be felt as the show moves forward, a fact that both producers acknowledge. In full Marvel style, both were mum on the specifics of what his death might mean, but Whedon offered some hint about what’s to come. Whatever happens, and however season 4 plays out, Daisy’s world is forever altered. Between the guilt she feels regarding her Hive addiction and the loss of Lincoln her character can never quite be the same as she once was. It is unclear whether she's gone from the team for good, or if she’s fashioned herself into a new pseudo-antagonist for the team, as was hinted at last night, but things are different now, that’s for certain. The plot thickens with every page turn, and the season 3 finale certainly turned a few pages. 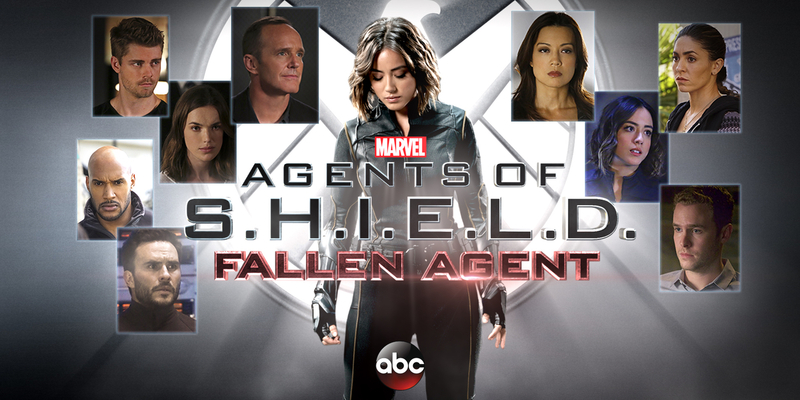 Never before has Agents of S.H.I.E.L.D. left itself in such an uncertain position, but season 4 is right around the corner. Whatever does happen, fans of the series have almost a completely blank page on which the next chapter will be written. There is sure to be more about what’s to come on Agents of S.H.I.E.L.D. in the coming months, and we’ll keep you posted on any new information as it develops.